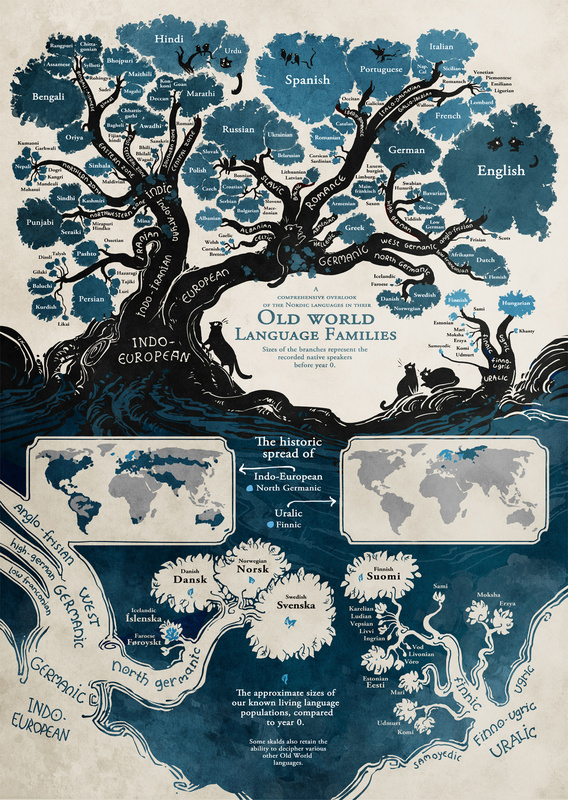 When linguists talk about the historical relationship between languages of the world, they oftentimes use a tree metaphor. The textbook version tends to be drab and boring, however, which is why Minna Sundberg, the creator of the webcomic Stand Still. Stay Silenttook the time to create a much more imaginative version. Arika Okrent of Mental Floss writes, “An ancient source (say, Indo-European) has various branches (e.g., Romance, Germanic), which themselves have branches (West Germanic, North Germanic), which feed into specific languages (Swedish, Danish, Norwegian).